Kwento Ni Toto shares one place where kids and moms can treat their Dads. As Father's Day is about to happen this weekend Dads and families can enjoy the whole treat of fun and games with Avida’s Come Alive in BGC! 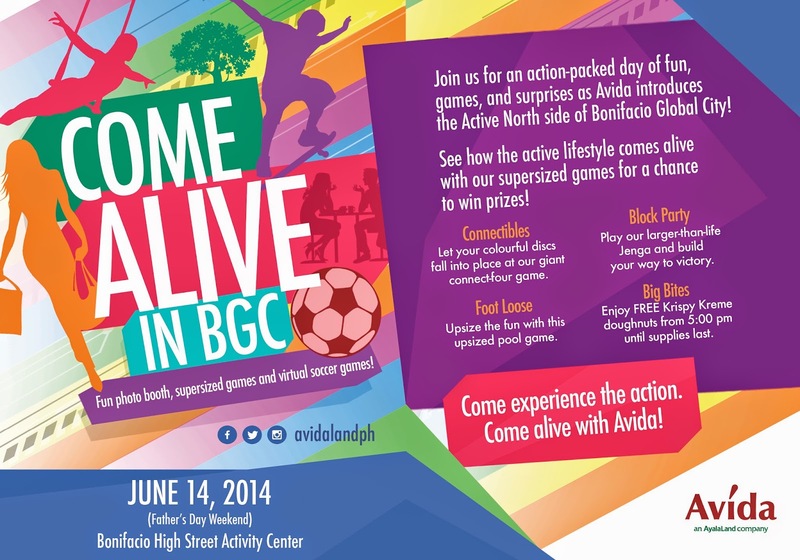 Happening on Saturday, June 14 at the Bonifacio High Street Activity Center, attendees will have a chance to experience the dynamic and active lifestyle of the North Side of BGC with activities such as virtual soccer match, photo booths, life-sized Jenga, and many more. Cool giveaways and free Krispy Kreme doughnuts also await participants.